Located on Maui’s renowned Kaanapali North Beach, Honua Kai Resort and Spa provides the space you need with luxury studios, one, two and three-bedroom suites. 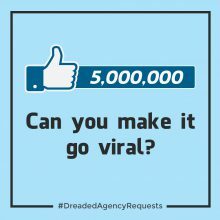 And unlike many condominium resorts, they offer services you normally find in a luxury hotel, including front desk check-in, full-service concierge, and every other day housekeeping. Enjoy the convenience of full gourmet kitchens with Bosch appliances, large lanai’s, and in-room washers and dryers. 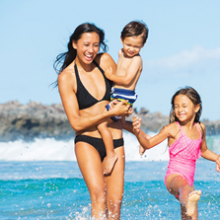 Experience the splendor of our aquatic playground, Ho’ola Spa, and fitness centers. Your Hawaii Vacation in Paradise awaits. 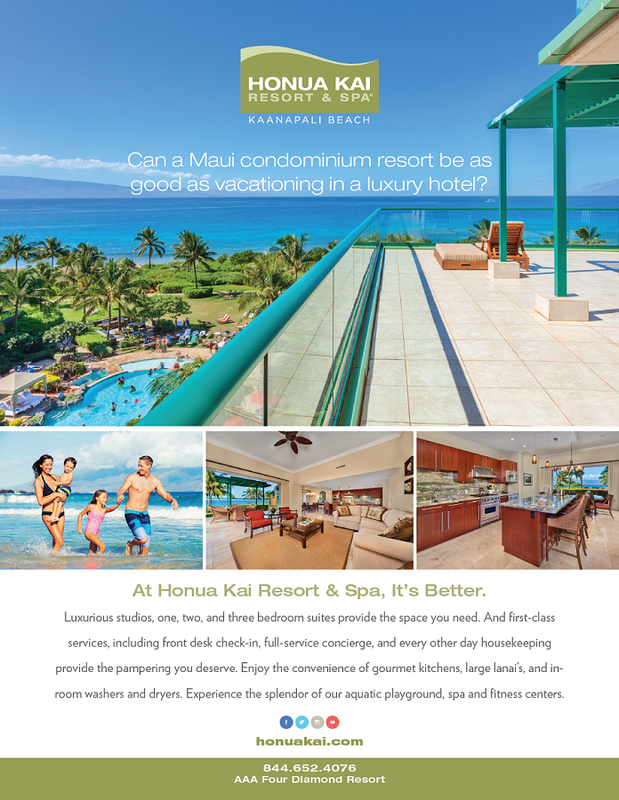 This full-page brand ad was developed by Team Vision Marketing to brand the Honua Kai Resort and Spa as an upscale condominium resort with luxury hotel services. An expansive lanai image showcasing ocean and neighbor island views was used to grab readers attention. Living room and kitchen interior shots were used to demonstrate the level of quality that can be expected. A clean design with lots of white space and minimal copy visually reinforce the luxury brand.